Republic Wireless recently announced it was finally changing the way it runs its service with a GSM partner and support for a number of unlocked phones like the Nexus 6P, Nexus 5X, and Galaxy S7. 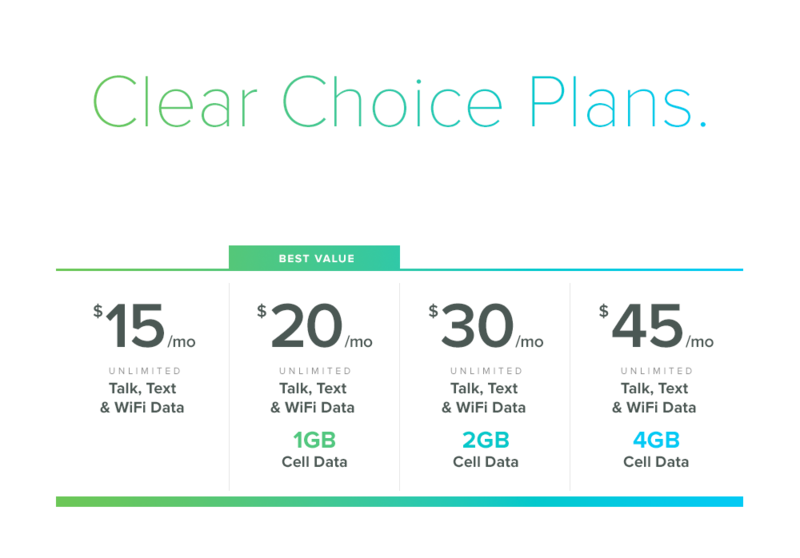 To go along with this v3.0 revamp, the carrier has announced new plans with simpler pricing and higher data tier options. However, the cheapest plan is getting more expensive. The old Republic plans included a refund system that would compensate you for unused data each month. You could also add more data. However, the tiers were a little spendy for a budget MVNO carrier (the 3GB option was $55). The new "Clear Choice Plans" are, well, clear allegedly. There's no refund system, but the prices are mostly more reasonable. Here are all the tiers. Republic Wireless is mostly pushing the four lowest plans, which it thinks will be most appealing to its members. You can probably find cheaper pre-paid deals, but $45 for 4GB of data isn't bad. The non-data plan is $15 now rather than $10, which will bum a few people out. However, current customers can stay on that plan if they like, provided they've got one of the currently supported Motorola devices. The new plans will become available in July, which is also when the new batch of unlocked GSM phones will go live.